Many think that real estate agent and broker are one and the same. However, we would say, it is almost the same as there is a thin difference between the two. DC Fawcett, in this session, tells you the major difference between real estate agent and broker. The fact is there are many types of real estate agents wherein not only the public but also the agents themselves get confused about the difference between them. In a crowd, there are agents who add titles to their name. They may be an associate, a real estate consultant, a salesperson or the realtors. However, they are termed as agents who cannot work as a broker without an appropriate license. The agents who give the advice for real estate must have a respective license without which they are prohibited from advising. Most of the sites maintain online sites where the buyers or the consumers can check for their names whether they have the license are not. If they don’t possess, the license, the consumers can file a suit on them. 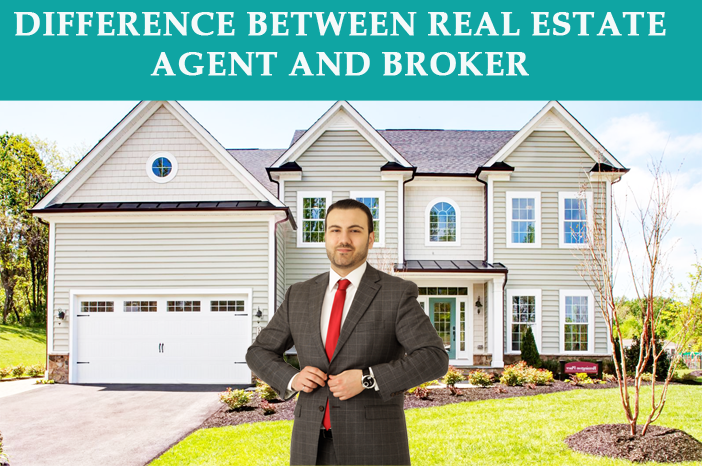 Here are the differences between real estate agent and a broker. A real estate broker is a step ahead of real estate agent. They can work either independently or hire salespersons. The broker’s exams are longer and tougher than the salesperson’s exams. They are considered to have higher standards of knowledge. Agents have licensed They are not real estate brokers. They have to work under the broker who appoints them. They cannot work on their own. Brokers are held responsible for their actions. Broker’s name is placed on the listing whereas agent’s name is not placed on the listing. A broker can directly deal with the buyers and the sellers. An agent has to work as per the broker’s instructions. An agent working under the broker works with the consumers to buy and sell homes whereas the broker handles all types of work such as administrative duties, listing homes, host open houses, and negotiate prices, etc. A real estate agent has to share the commission after the sale is closed, which covers the resources provided by the broker such as office space, training, loan assistance, and marketing etc. A broker can cut out the middlemen at his or her wish and will, thereby earning full commission by continuing to sell homes. To become a real estate broker, one has to be a real estate agent. The real estate agent course covers up the basics like, listing or selling process, contracts, taxes and financing. The broker course covers these things in depth. All real estate brokers are real estate agents but all real estate agents are not real estate brokers. Many real estate agents would like to become a broker. To achieve this, they have to upgrade themselves and clear the exams to get the license. This enables them to move up to the management position to the senior or junior level.